All the stuff that one puts up on the World Wide Web is considered content. And by all stuff I mean – even videos. All content needs to be planned well, crafted well and ultimately brought to the eyes of people. Here is where search engine optimization aka SEO comes in. In the case of videos too, the sample applies. SEO is like garnishing a tasty dish. Making a great tasting dish is not all that makes a super chef. He must be well equipped with the art of presenting it in a captivating way so that people see it (then have it). The same holds good in the scenario of running a YouTube Channel. Making fantastic videos isn’t all. You must make it presentable to make it viral. By presentable I mean – visible. For any online content to be visible one must make the search engine happy. That is exactly the reason why YouTube channel and videos too need a dose of SEO. Once a video is shot by a handy-cam or a screen recorder, the default file name with which the film is saved would look something like this – MOV8621. Many a times, we upload the video to YouTube and not bother to change its file name. So MOV8621 sticks on. Can you make out what the video could be about? Certainly no. None would. Not even the Google or YouTube search engines. Ensure that the file name explicitly tells the viewers and search engines what it is about. Change it to something relevant upon uploading, or better yet even before uploading. Description: The description of a YouTube video must do what it is meant to do – Describe. It must be effectively used to describe the video. What secret? And who cares? Also notice, that the description is having the keyword “get acne free skin”. Description is not just for the search engines. It’s 1st for the viewers (humans). Let it look natural. Avoid keyword stuffing. – Get return traffic, as people who comment mostly return to check responses or if doubts/concerns are cleared. – The commenter’s activity log would have a link to you video. – Comments are highly likely to contain the keyword, thus increasing the keyword density. Guess theses are enough reasons for you to encourage commenting. A great way to encourage commenting is ….. by asking for it? Naa …. Instead, by making people want to reply to you, by making them agree or disagree with you. One great way is to ask a related question. Integrate YouTube to Facebook: People generally come to YouTube when there mood permits (considering the video buffering). You definitely can’t wait for people’s mood swings to tilt at you right? Rather take your videos to where they are. Facebook is one such place. You can share your YouTube videos to your FB friends and subscribers. Better yet? Deploy your hard earned Facebook Fans (likes) count by integrating your YouTube Channel as a tab right into your Facebook page. This lets your fans check out your videos from facebook itself. Also, each time you upload a video to your channel, it gets reflected on your Facebook page’s YouTube tab. It also gets posted to your fans newsfeeds and your own page’s timeline. This brings some good backlinks to your channel. – By linking to one another in the description. That’s about it. 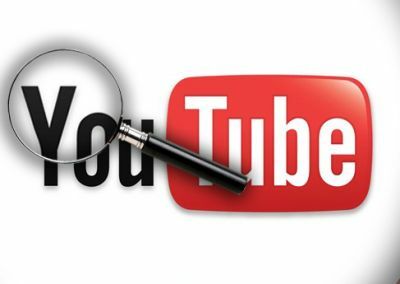 I have shared some of my ways of ensuring SEO for YouTube Channel. You got something to add to the list out of your experience? I’d love to learn from you. Do leave them in the below comment box.